We have been fans of Benidorm the TV series for years. For a good few years, Tegan my 17 year old has joined me once the other children are in bed to laugh along. Now the popular comedy TV show has hit the stage. 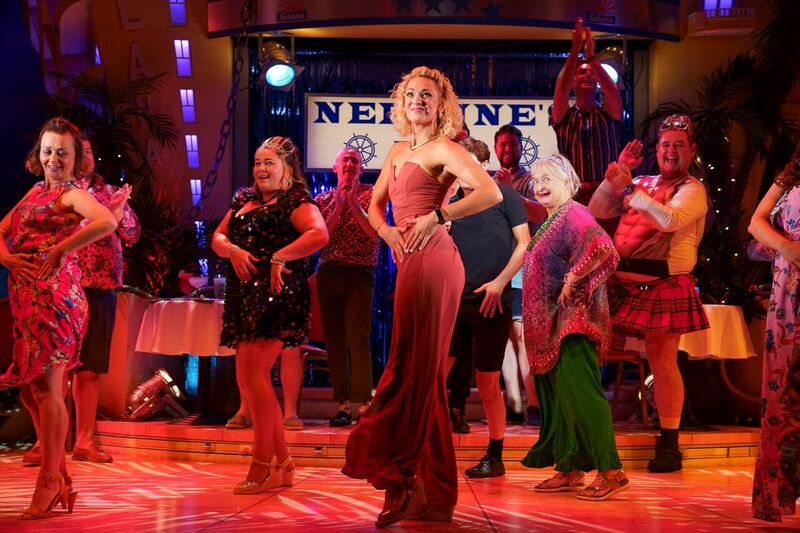 Earlier this week we headed to Bristol Hippodrome where Benidorm Live was on stage. As we were taking our seats I noticed the massive age range of the viewers. Spotting 3 generations of some families attending. When we settled into our seats, the set was bright and colourful, making the stage look massive. We arrived early for a change so enjoyed the buzz and cheesy tunes playing before the production started. The prodution started in the reception area of the Solana Hotel annd straight away the laughs came. Joyce Temple-Savage the hotel manager played by the fantastic Sherrie Hewson, was just a good as in the TV show. The tounge in cheek saucy comedy rolled on throughout the show. It is hard to believe that the TV show has been running over 10 years. 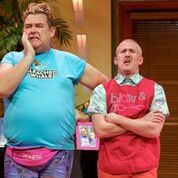 Benidorm Live had a very strong cast with Tony Maudsley played Kenneth complete with his tight tshirt and hot pants. Jacqueline’s character is pretty well know for her sexual inuendo’s in the TV show and Janine Duvitski delivered these seamlessly during Benidorm Live. The production wouldn’t have been complete with heartthrob barman Mateo played by Jake Canuso. The scene wirth him in his speedo’s definitley provoked a reaction. Also Liam (Adam Gillen) and holiday rep Sam (Shelley Longworth) brought some comedy moments to the show. 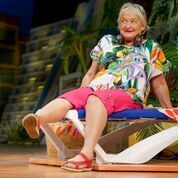 The Benidorm’s writer Darren Litten said he wanted to bring Benidorm to the stage as he wanted to hear the audience’s laughter. Which definitely could be heard throughout the production. Myselff and Tegan where crying with laughter at some points. We definitley left in a really happy mood. Disclaimer: Bristol Hippodrome gave us tickets for press night in return for an honest review.